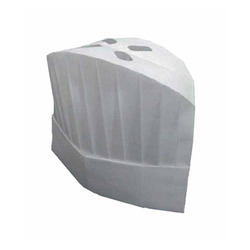 Leading Exporter of non- woven chef caps, disposable chef caps, paper chef caps and chef caps from Mumbai. 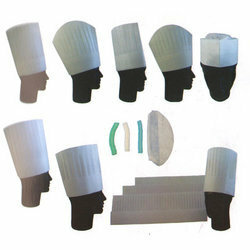 We are offering Non- Woven Chef Caps to our clients. These caps can be used for 8-10 time and then disposed of, hence highly appreciated by our renowned client. Our offered caps are mostly preferred in the hotel, etc. These caps are quality tested and are available at low prices. 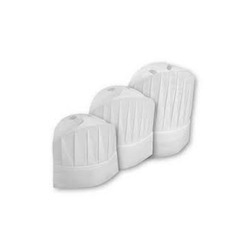 We are offering Disposable Chef Caps to our clients. 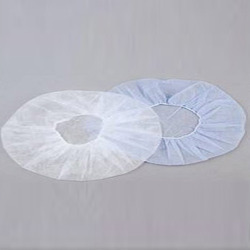 We offer these caps in various dimensions and types which can further be customized to meet the exact need of the client. Our offered caps are thoroughly tested on various predefined parameters before its final deliveries to our renowned clients. We are offering Paper Chef Caps to our clients. These caps are stringently tested on various parameters of quality to ensure flawlessness. These products are altered as per customer needs and thus highly customized. We are offering Chef Caps to our clients. The offered assembly is available in the multitude of colors, grades, designs, prints, and sizes in accordance with the diverse demands of patrons. In addition to this, the offered range is checked on different characteristics such as tear resistance, durability, colorfastness and easy to wash nature. We are instrumental in offering the finest range of Paper Chef Caps to the customers. 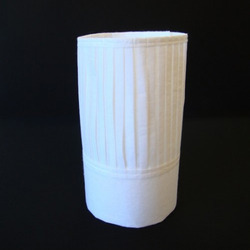 Our range of paper chef caps is made available to the customers in different sizes and other specifications to cater to the market demand. Customers can avail these from us in bulk at comprehensive prices.